Got a light? – Hinky Dinky Parlay Voo? 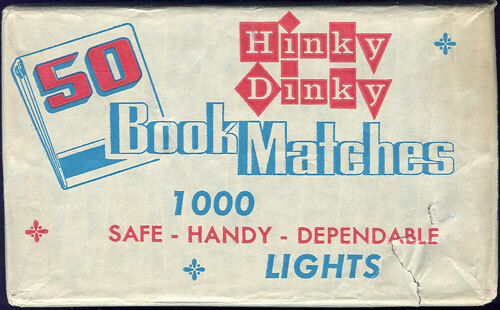 A gift from my Pop…I think I really believe there’s 50 books of Hinky Dinky matchbooks in this package.